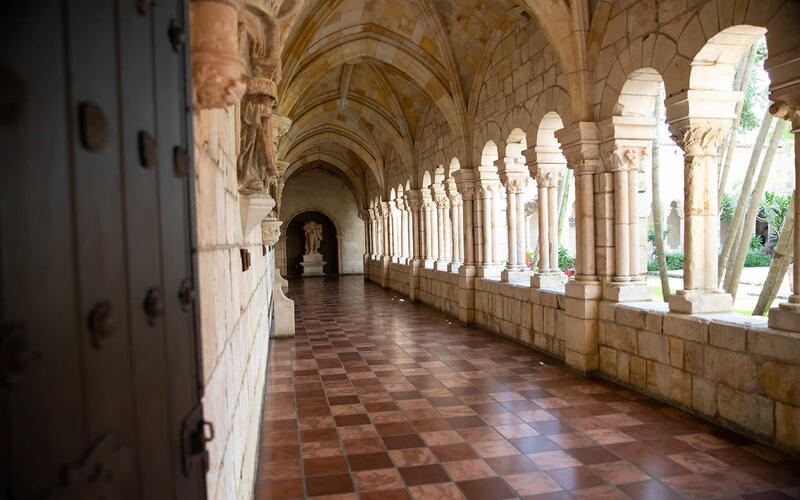 Hidden in modern North Miami Beach, the Ancient Spanish Monastery takes us back. 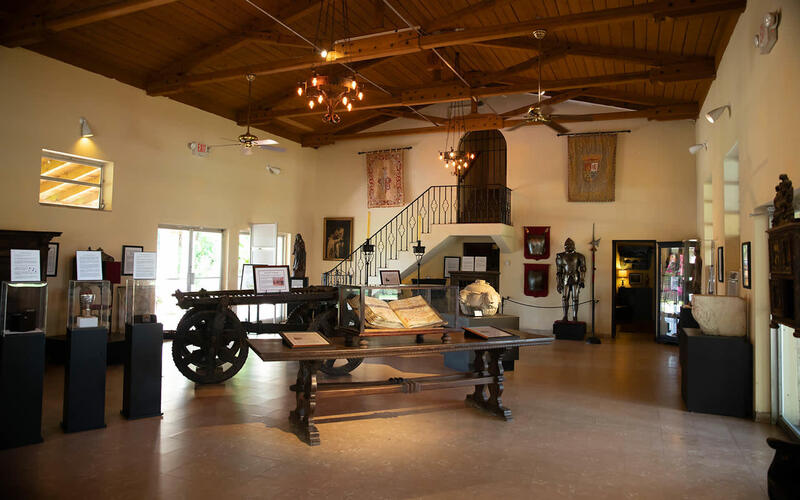 An enclave of European architecture and history, this Florida Heritage site—which was originally built in Sacramenia, a municipality of Segovia in northern Spain—has endured a long and interesting history to become the South Florida monument we know and love today. 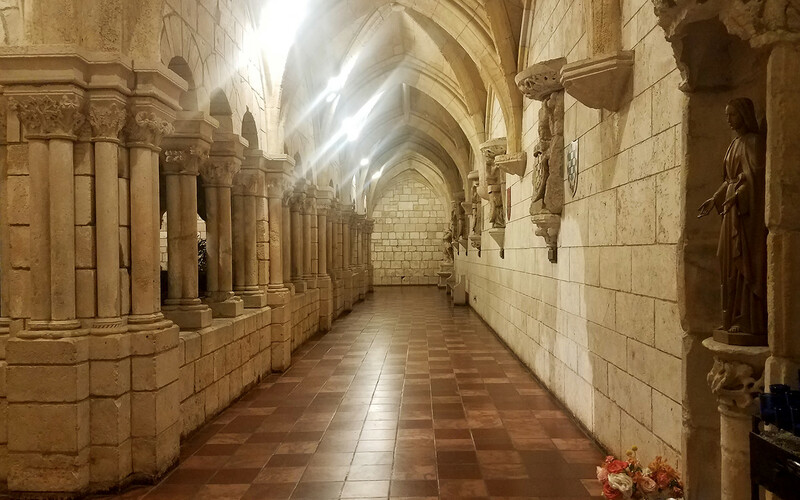 While the Monastery itself was completed in 1141 AD, making its cloister the oldest building in the western hemisphere, it changed ownership for many years after. When the Cistercian monk, Bernard of Clairvaux, was canonized in 1174, the monastery was named after him and played home to Cistercian monks for almost 700 years after. Much to their dismay, a social revolution in the 1830s led to a seizing of the monastery’s cloisters. Fast-forward to 1925, when businessman and media tycoon William Randolph Hearst purchased the cloisters and the monastery's outbuildings with plans to bring them to the United States. The process wasn’t easy, but with some innovation and patience, Hearst brought it to fruition. To move the building to the United States, each wall and structure was taken apart stone by stone, bound with a protective hay, and packed in more than 11,000 wooden crates. Unfortunately, while the crates were being shipped to America, a hoof-and-mouth disease epidemic broke out in Spain, and the U.S. Department of Agriculture was concerned that the protective hay carried the disease. To combat that problem, 23 men spent three months opening all of the boxes, sorting through seven tons of nails, burning the hay, and then repacking the stones into the crates. While each crate was numbered for identification when the stones were packed in Spain, the stones weren’t repacked in the right boxes in America, and many were lost. To add insult to injury, Hearst soon faced financial problems that could only be remedied by selling most of the monastery in an auction. Whatever wasn’t sold was left in a warehouse, and didn’t come out again until two Miami businessmen—William Edgemon and Raymond Moss—bought the Monastery’s remains in 1952 with plans to turn it into a tourist attraction. Resulting in a project that Time Magazine called “the biggest jigsaw puzzle in history” in 1953, the final construction of the Ancient Spanish Monastery in Miami today took 19 months and nearly $20-million to complete. In 1964, it was sold to multimillionaire and banker Colonel Robert Pentland, Jr., who gave the monastery to the Bishop of Florida. Today, it is owned by the Episcopal Diocese of Southeast Florida. In the 21st century, the Ancient Spanish Monastery serves as both a peek into history and a tourist attraction. At the entrance to the property, there’s a museum with historic Spanish artifacts like a hymnarium and pieces of armor worn during the Crusades. In that same building, there is also a gift shop with souvenirs available for purchase. Go beyond the museum and gift shop, however, and the beauty of the Ancient Spanish Monastery awaits. Walk through the grounds of this stunning historic site, and while it’s a church at its core, there’s so much more to it. The monastery is surrounded by beautiful gardens, and right in the middle, a whimsical courtyard is often filled with families having a picnic or taking photos in front of its ivy-clad walls. Wander through its stone walls, and you’ll find a mecca of medieval statues, carved ceilings and columns, stone arches and stained glass windows. The cloisters are covered in colorful coats of arms, and in the sanctuary of its onsite Episcopal church, sacramental stone tables set the scene while a bell tower rises above. Every Wednesday, head to the Ancient Spanish Monastery for a RUAH service at 7:30 p.m. Grounded in the Anglican tradition, a centuries-old Christian liturgy centered around the sacraments, RUAH has been practiced by monks, nuns, mystics, saints and ordinary people for centuries. During this evening of spirituality, a walking meditation is accompanied by Middle Eastern music and world instruments, art, movement and poetry while candles, seed and oils actively engage all senses. This weekly event is free and open to the public. 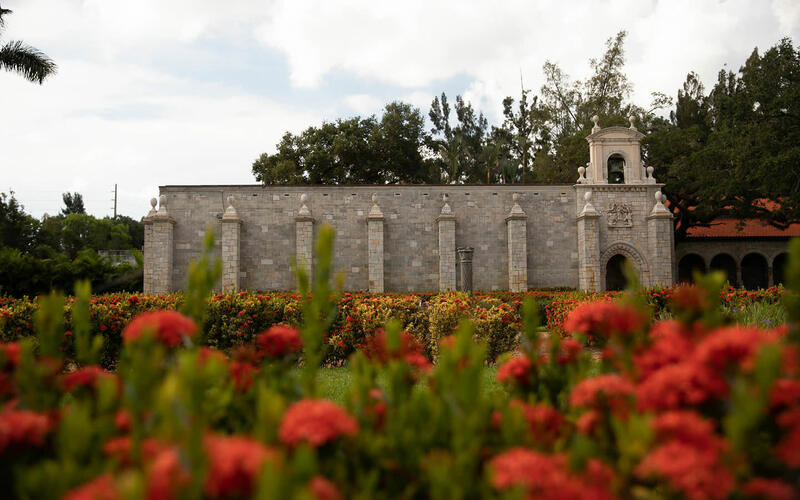 In a place this beautiful, it should come as no surprise that the Ancient Spanish Monastery is a huge draw for weddings, first communions, quinces and proms, and is even used as a backdrop for senior pictures and wedding portraits. That said, there are rules for doing so. While there is no charge for tourists to take casual photos of the building or each other while touring the monastery, all visitors who pose for amateur, student or professional photography with the monastery in the background will need to pay $200 for every three hours onsite. This fee includes admission to the cloisters and gardens for up to six people, including the client and the photographer. Regular admission fees apply to each individual beyond those six. All proceeds earned through professional photography and events are given to the monastery to help preserve its architecture and grounds, and support all programs the monastery supports. To schedule your photography session or special event, call the Ancient Monastery at (305) 945-1461, ext. 101, and make a reservation with the front desk. The Ancient Spanish Monastery is located at 16711 West Dixie Highway, North Miami Beach, FL 33160. It is open from 10:00 a.m. to 4:00 p.m., Monday through Friday. Operating hours vary on the weekends. The latest any visitor is allowed to come on property, unless they have special permission, is 4:00 p.m. Walking tours are available during operating hours, unless the property is hosting a special event, a wedding, or filming. Masses are held every Sunday at 8:00 a.m., 10:15 a.m. and 12:15 p.m. Both the 8:00 a.m. and 10:15 a.m. masses are conducted in English, and the 12:15 p.m. mass is conducted in Spanish. Admission is priced at $10 per adult and $5 per student or senior. Parking is free for all who visit.